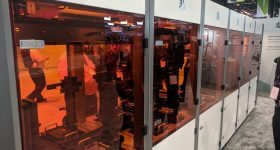 Amidst the flurry of releases at this year’s formnext expo, British engineering company Renishaw took a decidedly more understated approach. The latest RenAM 500Q system was soft launched in a release from the company in early October 2017. Then, without fuss or fanfare, it was presented on the Renishaw booth for all to see from day one of the show. 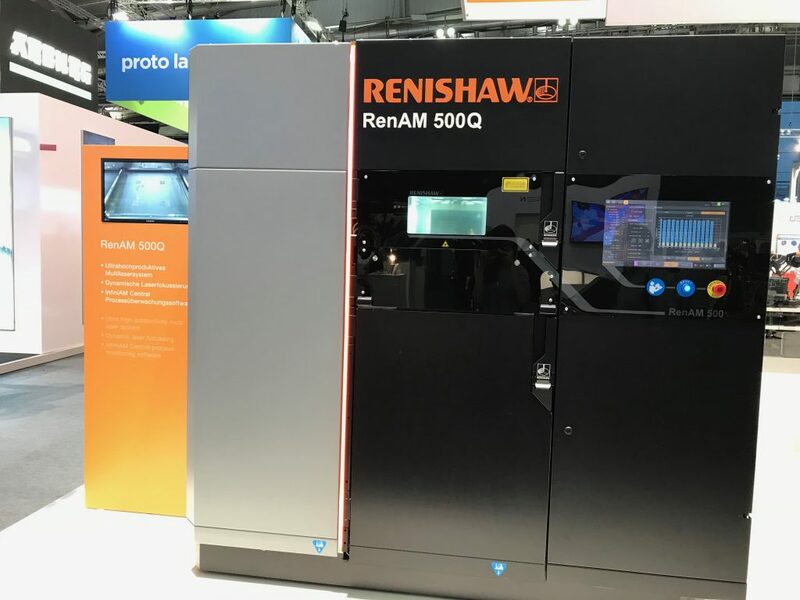 Speaking to Robin Weston, Marketing Manager of the Additive Manufacturing Products Division, he says he believes that the RenAM 500Q could be the system that changes Renishaw’s position amongst its competitors. 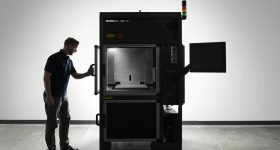 Configured with double the number of lasers as in many readily available systems, the 500Q has become part of a trend in the industry aimed at boosting the speed and productivity of metal additive manufacturing. 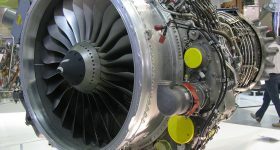 The key driver in the RenAM 500Q is a specially developed optical system, part of which was on display as a demonstrator of the machine’s capabilities. 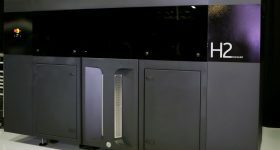 The optical system was designed through a collaboration between Renishaw’s dedicated control, software and mechanical engineering departments, spending 2-3 years in development. The holistic approach, in place of a stock-bought part, makes the component entirely unique to the machine and, as Robin assures me, it ill always be made using additive manufacturing. Conformal cooling in each of the components “branches” could not be created in any other way. If necessary, the design could also be modified slightly at a later date. 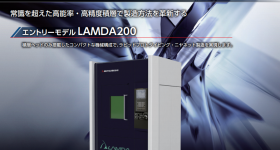 The RenAm 500Q has a build envelope of 250 mm x 250 mm x 350 mm. 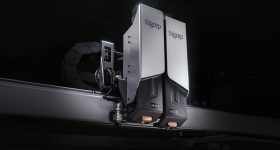 Laser and galvo mirror positioning in the 500Q delivers four lasers capable of simultaneously reaching every point the print bed. With all lasers in operation, the system can operate at a deposition rate of up to 150 cm3 per hour. 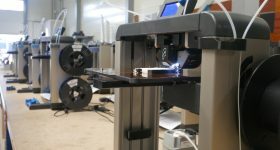 In a side by side comparison, the quad system is capable of writing a layer in roughly the same amount of time it takes two lasers to complete just 50% of the layer. At the end of a 19 hour build, the quad laser is capable of making a part about twice the size of that produced in a two laser system, and three times the size of a single laser machine. The 500Q however, is not made for large scale parts. 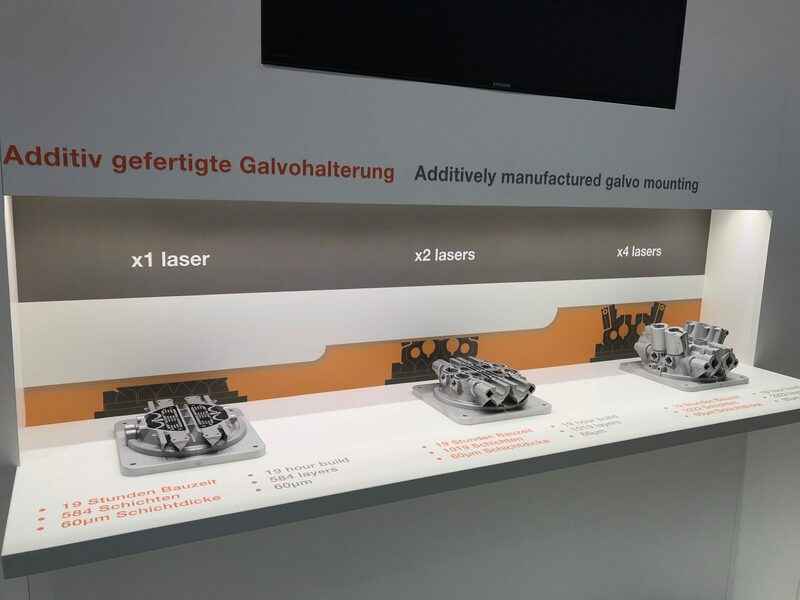 Instead, the build envelope is more proportionate to the number of lasers, focusing on productivity, and reducing cost per part, rather than scale. As with other Renishaw machines, the 500Q has an integrated powder sieving and circulation system. 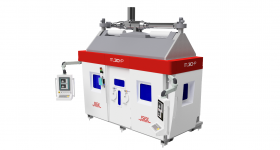 It has an open materials platform, allowing users to pack the machine with a range of readily available powder alloys with melting points in the range of 750 – 2000 °C. 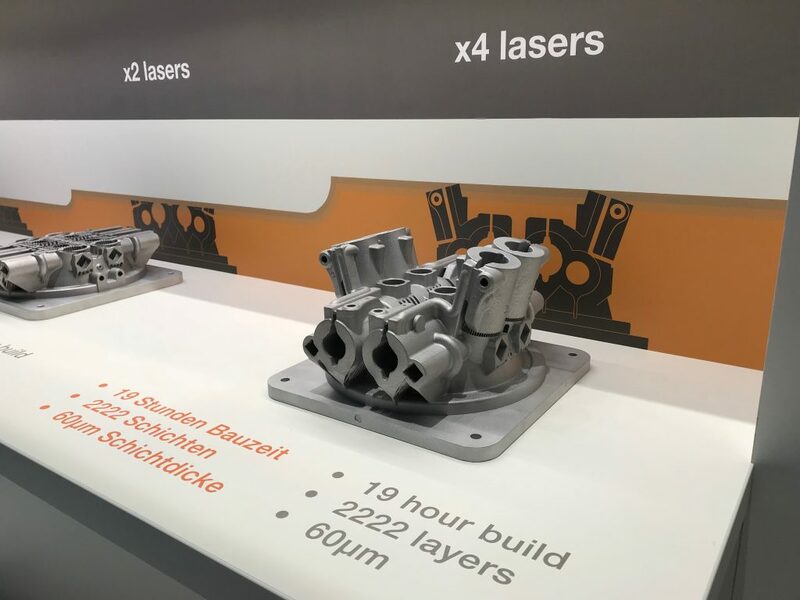 Renishaw will continue to develop the feedback loop inside the system, responsible for ensuring continuity between all four lasers operating within the same point of the print bed. In the future, there is also scope for the company’s high temperature features to be added to a quad laser system, producing systems capable of working with superalloys more suited to temperatures up to 495 °C. For all of latest metal 3D printer releases and more, subscribe to our newsletter, follow us on Twitter and like us on Facebook. 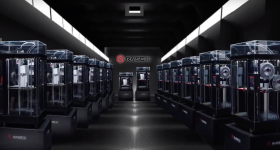 Register for 3D printing jobs updates here.